With $22 million, this 7-year-old is the highest-paid YouTube star of 2018! Seven-year-old Ryan is the highest-paid YouTube star of 2018. He earns $22mn! Forbes magazine has come out with a list of highest paid content creators on Google's YouTube and revealed that the most paid star of 2018 is a 7-year old kid called Ryan who reviews toys! Ryan's YouTube channel is called 'Ryan ToysReview' and the channel describes itself as "Toys review for kids by a kid". It was created on March 16, 2015. According to the Forbes magazine, Ryan earns $ 22 million, beating out creators like Jake Paul ($ 21.5 million) and Dude Perfect ($ 20 million). Last year's highest earner was DanTDM (Daniel Middleton) at $ 16.5 million. "For Ryan, this means not only an endless stream of toys to play with but also a seemingly endless stream of money: He was this year's highest-paid YouTube star, earning $ 22 million in the 12 months leading up to June 1, 2018," Forbes said. Ryan has over 17.3 million subscribers and almost 26 billion views on his main channel. Ryan also has a second channel called 'Ryan's Family Review' which has 3 million subscribers. Ryan is known for opening up new toy boxes in front of the camera. A video where he opens up giant eggs to find toys from Disney's Cars and Paw Patrol is his most popular video with over 20 million views. "Nearly all of his money, or about $ 21 million, comes from pre-roll advertising on his channels Ryan ToysReview and Ryan's Family Review. When views go up, so do these automated ad dollars", Forbes added. 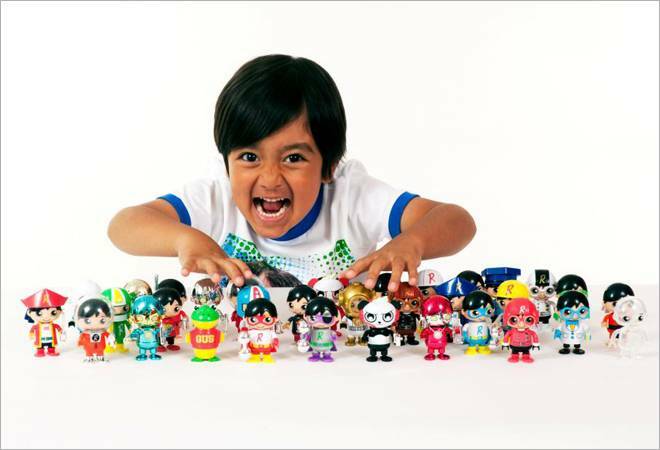 Earlier in August, Ryan together with Walmart launched 'Ryan's World', a toy and apparel collection that will be sold in retail giants' online and 2500 US offline stores.